Tigerlilly Quinn: Being the sort of person with a tidy house.. I've always wanted to be one of those people that 'can't relax until the house is spotless', that can always invite people over whenever as it wont involve a panic clean up and that always make the beds in the morning before they leave the house. I've come to terms with the fact I'm never going to be one of those people as as long as things are clean and a bit jumbly thats OK. I have become much better at keeping on top of the household jobs lately though and find that as long as I don't let it get 'too bad' it's pretty easy to maintain. 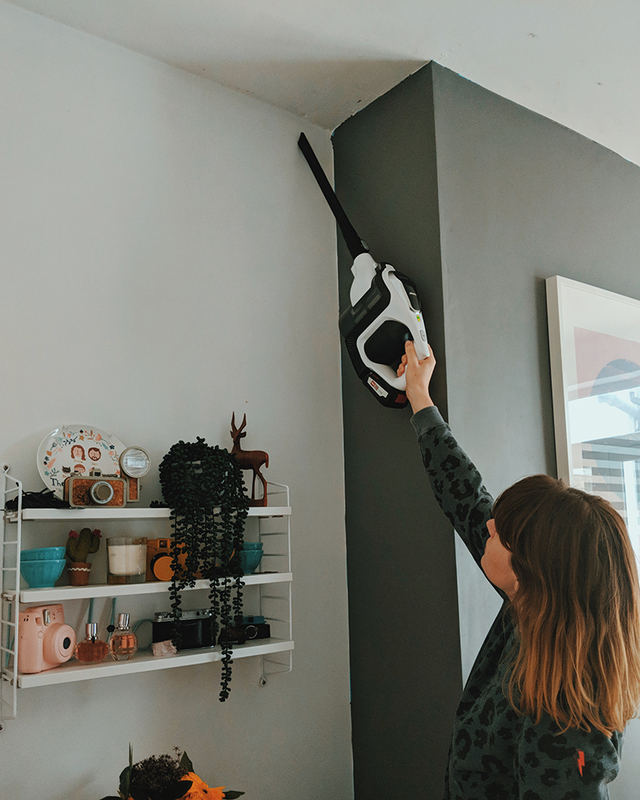 There are a few areas in our home that need cleaning daily and thats around the dinning room (think crumbs from breakfast or tiny bits of paper and fluff from the kids crafts). We pulled up the carpet off the stairs around a year ago and although I love that it is wooden floors throughout it also means that it just collects fluff. We have two very hairy cats who seems to malt just as soon as you touch them and the stairs are the worst hair collectors. 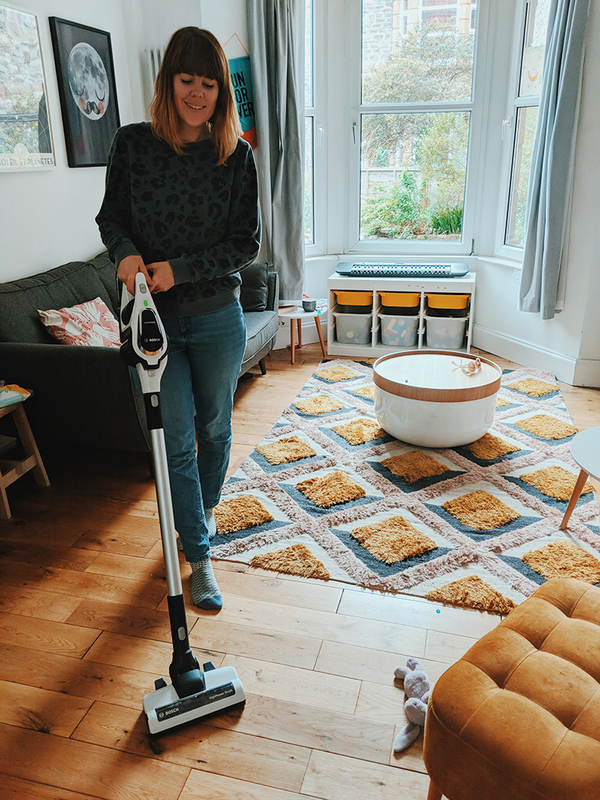 We're working with Bosch in this post to test our their new Unlimited Vacuum. It's unique in that it is battery powered and whilst you are using one battery in the machine the second one can be charging in the battery doc whilst you're not. You can use this piece of kit like a normal vacuum below but my favourite aspect of it is using it with the hand held element. 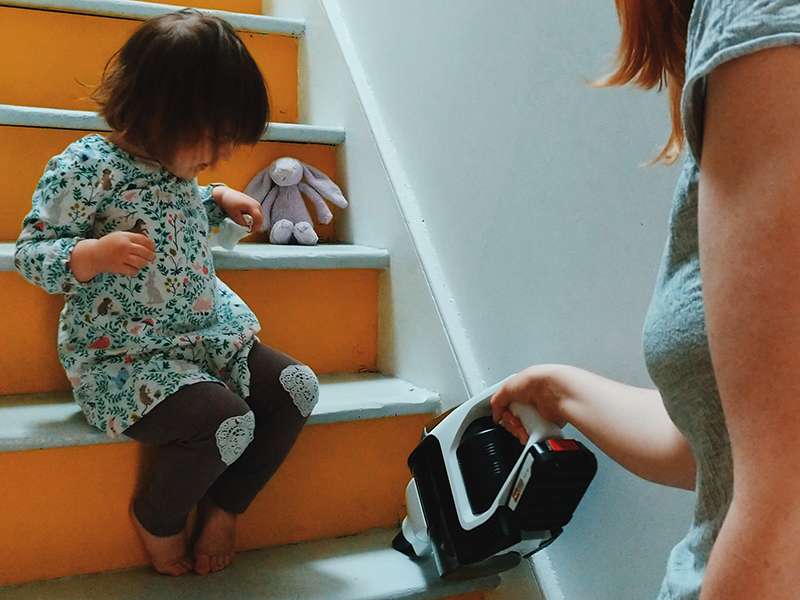 It's perfect for the stairs and we now store it on the landing so we can do this really quickly daily. 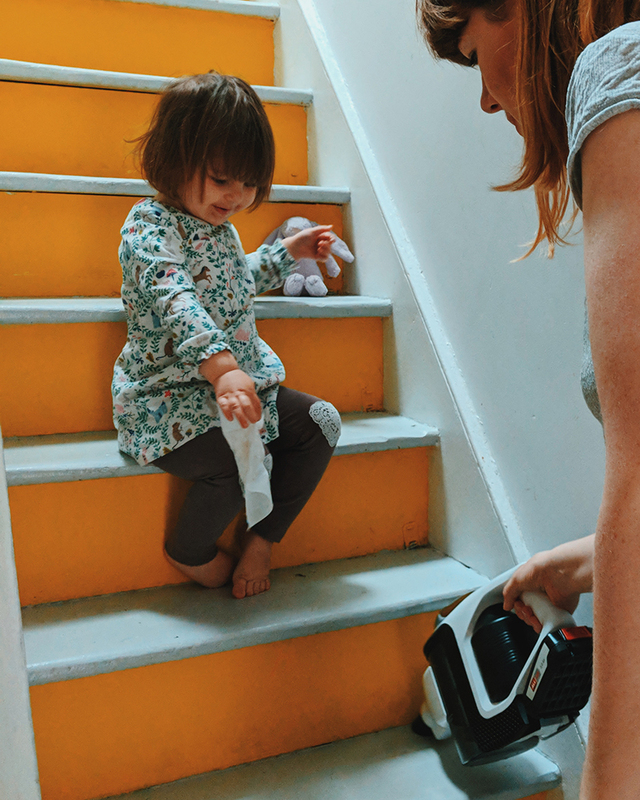 I never used to vacuum this often with our machine with a cord as it's a real pain to lug up and down the stairs like this. The charging time on the batteries are so quick that it actually charges faster than when it's being used! This gives it an infinite and unlimited lifetime of use. I found the design really simple and uncomplicated. It was immediately easy to see how to use it and empty the cylinder. 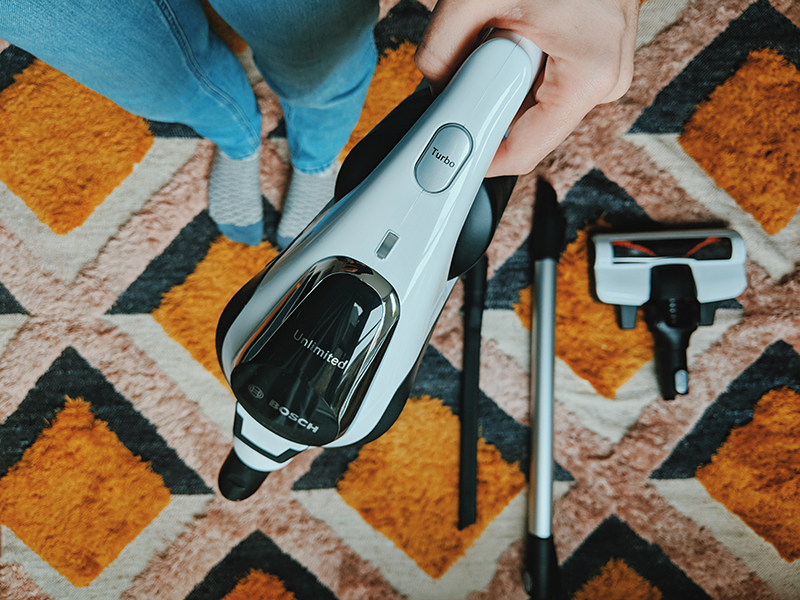 I definitely love the small handheld dust vacuum the best and can really see how it will help keep on top of everyday cleaning without it becoming a chore. It's also really easy to store and you can attach the charging station to the wall over a plug so that its always there to charge up. We haven't done this yet as we're about to move house but I'm looking forward to tackling the new place with this new piece of kit!